Each level includes new tricks and new accidents that may occur! You can choose the type of new transport! Do you want to become the strongest stickman all over the world? Will you survive in constant risky conditions? Will you be able to react well to dodge the hits and kill opponents? Stickman Racer Road Draw is a sequel to the legendary game of survival, a place where players show off tricks, amazing skills, able to drive different trucks and find a way to avoid many black spots while playing! The game has been redesigned in the best way in the old shapes of simulation games with physical elements. Make amazing leaps and tricks to destroy the enemy! Your mission is to stay the game, with only one result, death or alive! Stickman Racer Road Draw Mod is one of the most entertain and addictive physics-based driving games of all time! This is the next generation of endless racing games. In this game, you will be the god of the roads if you can pass all the obstacles in the race on the roads. Start a new race with plenty of energy, ready to face the challenge. 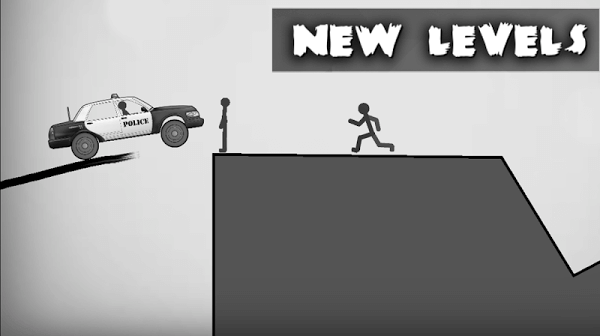 Players will have to drive different vehicles for the character is stickman, try again and again run across the obstacles and do not be bumped into the wall! While playing you are absolutely not allowed to stop, must drive continuously can run slow or fast. But of course, it cannot run so slowly that it will make the car unable to jump over obstacles or pits because there is no momentum! Break and destroy other means of transportation to win! When you miss a beat, it means you have lost! Your stickman can run a bike, a bus or even drive a sports car! The game is simple but full of vehicle genres and terrain simulations on a white background. The creative graphics of stickman driving is entertaining and addictive. Your mission: climb up the hill, draw the roads and keep your car safe through obstacles.Many positions and new levels with different obstacles! Variety of vehicles to choose from, Mini car, Offroad, Military, SUV, Jeep, even SchoolBus. Cars have different motor characteristics, suspension, and grip. New design, the more stickman in the game! You and your car pass the mountains together. Exclusive music only in this game. Create your own style of Road Draw and be careful with obstacles. Sketch and line paths. Keep sketching and sketching again. Live HD graphics. Collect coins, fuel and random coin packs when climbing hills. Realistic physical mind, accurate slope calculation based on speed and direction. Be comfortable and creative while drawing new streets. Certainly for adventurous enthusiasts will be very interested in Stickman Racer Road Draw. 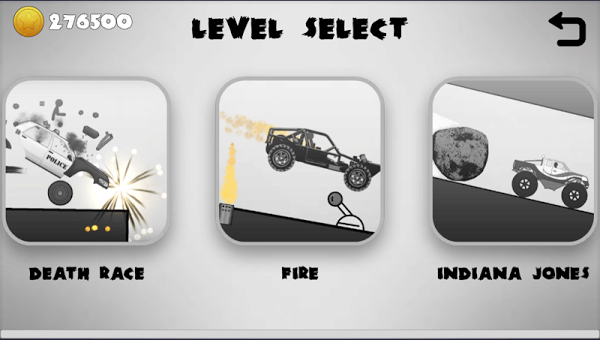 All the tricks are made by professional stickman – and you will be one of the best racers.